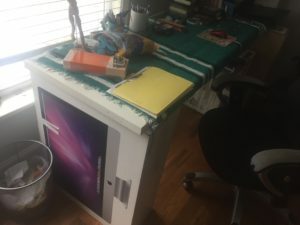 My wife doesn’t like my box desk. To be fair it isn’t just a box desk, it is a box/door desk. Old boxes support the door top work area. The doors were taken from the little wet bar area off the dining room. They were about as necessary to conceal the wet bar area, as the wet bar itself. The doors were laid across the hodge podge of Imac and speaker boxes and is 99% level. A green, and white striped Mexican blanket top is draped across the door to give it a real touch of class. And that’s not stereotyping, it is a Mexican blanket, from Mexico. Pronounced Meh-hico. It is a thing of beauty in my eyes, practicality at its in its most pure form. But she keeps saying, “you should get a desk”… but it comes out in very sinister fashion. Well, as sinister as my wife can be at least. With each new item that enters our house I give up a little control. The shackles get an extra linkage of weight for me to drag. My goal of one thing in two things out is not really panning out, though I am rooting through boxes and bins rooting out items that don’t bring some immediate heart felt intrinsic value. We’ve been very good thus far not adding too much more than vital furniture. New beds, for the comfort of friends who visit. That’s enough, we’re good, I think. But this house is pretty big, and societal pressure to fill it up with stuff is strong. Will we stray? I hope not. Someone got us a subscription to Country Living, and looking in there tells me we don’t have near enough nick-nacks in here. On the bright side, the more folks I talk to the more I hear that they are moving away from the material substantiation model that is born from the illest side effects of capitalism. 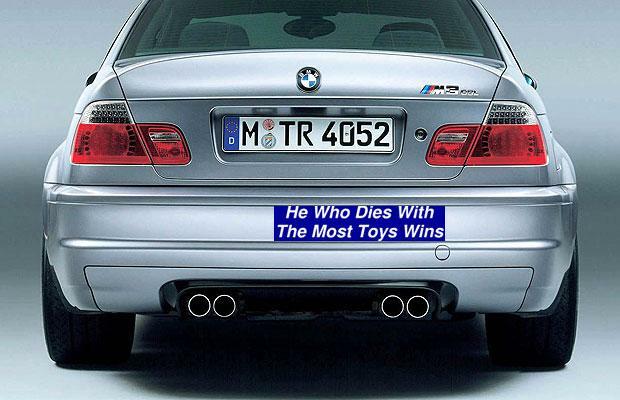 “He who dies with the most toys wins”, is a dying slogan, that grew strong in the 1980s. I remember my Dad saying that was the dumbest thing he ever heard when we noticed a bumper sticker that said that as we he was driving me to school one day. It had that same effect that “I want to boogie till I puke” did on my Mom, but that is another story. What a “dipshit that person must be”, my Dad said. But to be fair, he said that about just about everybody. And he toiled way too much with his compost pile at the time, so I am not sure I appreciated what he was espousing at the time. That said, my father installed the idea that more stuff doesn’t mean more happiness in me long before there were studies to prove it. Just before we decided to sell the house, buy an RV and hit the road we were searching for just the right sectional for the basement. Something happened, and we abandoned that quest, thankfully. Experiences and life changing moments matter more than stuff filling our homes, sucking electricity, and collecting dust, ultimately making our lives more complicated than bringing joy. Alexa, you sneaky Russian spy, please stop recording my discussions with my family and friends. 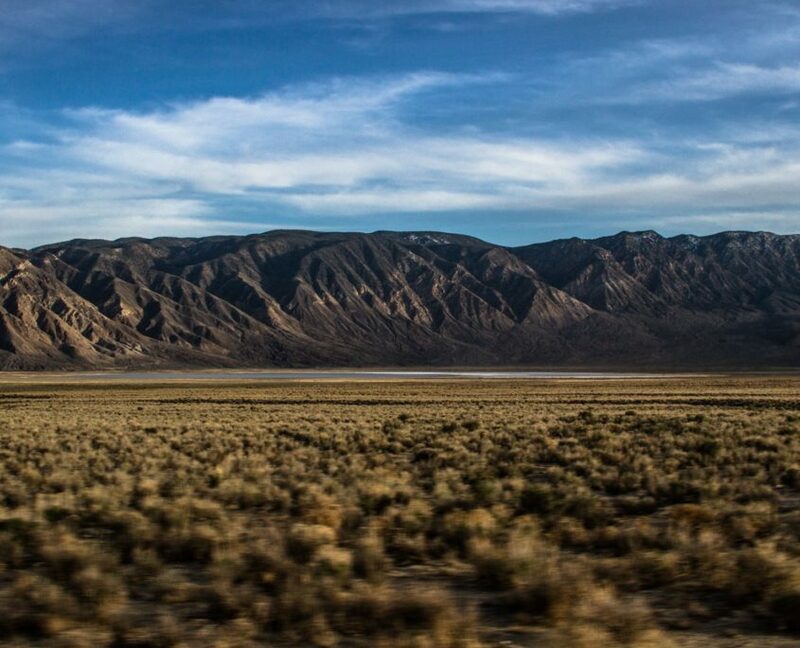 So, as I sit here typing this upon my box desk I am not thinking about new stuff for the house, I am thinking about how we can see more of this country, like this spot in California. This one my favorite photos from the trip. We saw one other vehicle on the 30+ mile stretch of the 168. 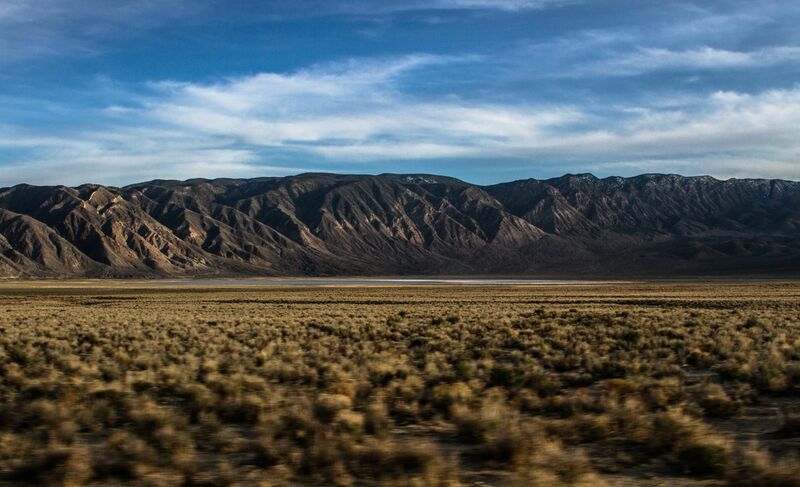 So it felt very remote, and I miss these vast expanses of the west very much. To say the trip changed us would be accurate and the kids and mom and dad all want to hit the road again this summer, hopefully to Glacier National Park. Westward, towards new memories and experiences. I hope to get rolling recounting our trip, scheming new adventures, and attempting to make some of you laugh. I will continue to get inspiration from others (below) who do a much better job than I, and continue on creative adventures that create lasting memories.